TWG 2017: IWGA - "The World Games 2017 were a success"
The World Games (TWG) is a multi-sport event, organised by the International World Games Association (IWGA). The World Games 2017 is an event that means more than 30 sport disciplines such as various water, aerial or team sports. It means a few thousand athletes who will visit Wroclaw to compete in new and renovated sport facilities. It means thousands of fans who will follow their steps. It means a festival of sport, to which all are invited. 10 days of competition. 3600 athletes. Over 100 countries. 27 official & 4 invitational sports. Over 20 sports venues. TV broadcasting to over 120 countries. 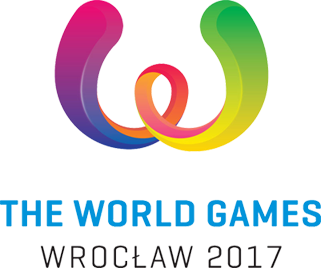 Floorball first participated at TWG in Lahti in 1997 as an invitational sport, however, in Wroclaw in 2017, Floorball will be an official medal sport for the first time. At TWG 2017, the Floorball competition will be held over 4 days, from 27th - 30th July, and will involve 6 men´s teams divided into two groups of 3. Due to limits placed on each sport regarding the number of participants, each team will have only 14 players and up to 4 officials. There will be a total of 11 matches, with match time being 3 x 15mins (effective time). Play-off & medal matches will have 10 minutes extra time + penalty shots.